For most of us, summer tends to bring back feelings of nostalgia – and who can forget their time spent at camp? Like most things that we learn when we’re young, (seriously – leaves of three, let it be) we’ve realized that all of the lessons we learned at summer camp still apply to us when it comes to agency life and digital marketing in general. In this post, we’ll show you how everything you learned as a kid at camp is still helping you now. Grab your bug juice, a buddy, and follow us on down to the lake. Swimming, biking, soccer, archery – everyone seemed to find their preferred activity to participate in at summer camp. At Catchfire, we have a few niches (like camp, though, we usually find ourselves dipping our toes into each one from time to time.) The key to aligning yourself with the right marketing agency is to ensure they know your niche. At Catchfire, we’re nerds in the best possible way for consumer brands and we have a proven track record for producing results-driven marketing on behalf of our clients. If you’ve ever gone to camp, or just have gone camping in general, you’re aware that there is always something that you could be working on. And besides bettering your current skills, there is always something new to learn, too. We’re always making sure to stay up to date on the latest and greatest going on in the marketing world so that we can produce the most relevant and hard-hitting work for our clients – and for our own benefit! Camp was comprised of collecting, crafting, and creating. Through art, friendship-bracelet making, or pottery, we all found different outlets to channel our inner creativity into. The same goes for our day-to-day here; whether it’s photography, design, or developing an innovative new website, being creative is in all of our job descriptions. As an agency, we want to be able to tell your brand’s story in the most effective and relatable way possible – whether it’s through social media, in-house photography, or content marketing, we want to add those creative touches that will set your voice apart from the rest. Summer camp may be one of your first times experiencing friendships with those outside of your core family and friend group, and being in such a close environment for so long builds relationships that will last you for the long haul. Whether it’s lunch at Street, or volunteering outside of the office, we’re helping each other to learn and grow every day. We respect each other, we listen to each other, and we laugh with (and at) each other. This goes for our client relationships, as well. Whether you were a counselor, you were in charge of bringing up the flag, or you were on dining hall duty, every role at camp was important, which is how we feel about our team here. Like Jenga at a camp game night, with one missing piece, the structure would never be able to stand. When you made that first leap to venture off to camp, you were most likely going completely out of your comfort zone to do so. Here, we push ourselves (and our clients!) outside of comfort zones constantly. 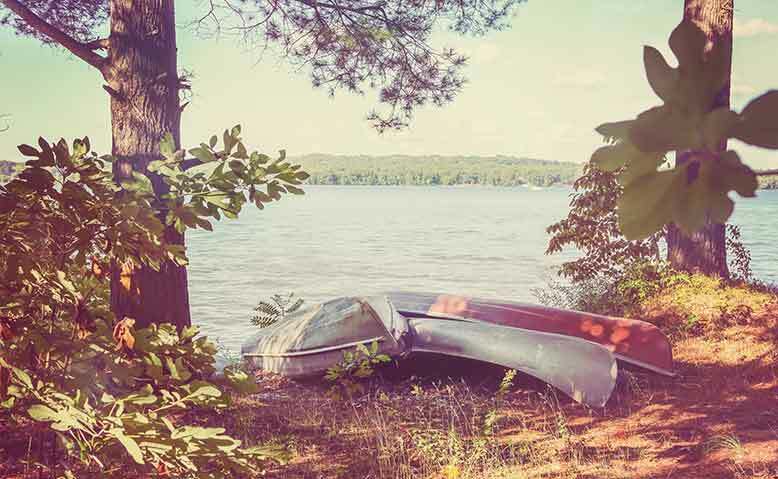 And like camp, while we work hard (year round, obviously), we always find the time to encourage play – especially in the summer when the sun is shining and the canoes are ready to launch on the lake. Also, s’mores are always relevant. Always.